Estonia is about to elect 101 new members of the Rigiikogu (Parliament) on March 1st. Yet, early voting has already started. According to the Estonian National Electoral Committee’s timetable, advance voting at county centers were open from February 19 to 22. Internet voting also opened on the 19th, and will close on the 25th. In Estonia, the time window to cast a vote online usually lasts 7 days. Advance voting at all polling places will be open from February 23 to 25. And Election Day occurs on March 1. Preliminary results will be available on Election Day, and the final official tabulation will be published on March 2 after a verification of results. Estonia’s internet voting system has been lauded as a success story. However, it is not exempt from criticism. Last year, a group of scientist highlighted what they believe to be gaps in procedural and operational security. 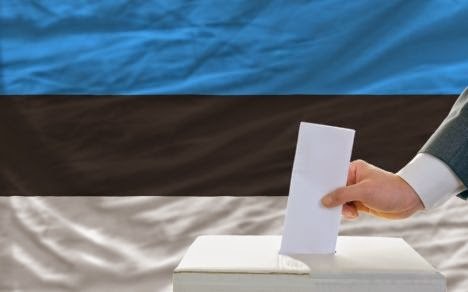 According to Cybernetica, the Estonian lab that built this voting system, the platform is safe and contains robust cryptography protocols and auditable organizational procedures. Public-key encryption and digital signatures are used for the protection of ballot secrecy and integrity. One key element for its alleged transparency is the fact that, after casting their ballots, voters can verify that their choice was registered as intended. Estonian authorities and prominent public figures have given little credibility to the criticism. In a recent video, Estonia’s Prime Minister, 35-year old Taavi Rõivas, promotes online voting and calls his own country the most digital in the world -a title not many will dispute given Estonia’s impressive internet penetration rate and the level of e-services offered by the government and other public institutions. Estonia has conducted 7 national elections in which online participation has steadily grown. Last elections -in May 2014- 30% of voters used the platform. Authorities are confident this number is likely to keep growing. The 2015 Rigiikogu elections will be the first since the resignation of former Prime Minister Andrus Ansip. It was then - March of 2014 - that the coalition of the Estonian Reform Party and the Estonian Social Democrats, headed by Taavi Rõivas, took power.